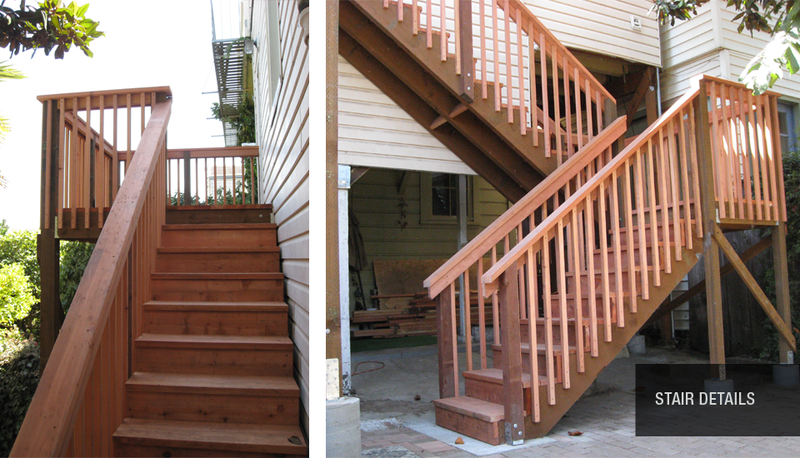 Built By Todd transformed the previously unsafe, dilapidated and rotting deck and stairway which provides the owners’ only access to their back yard, into a secure and relaxing outdoor space. 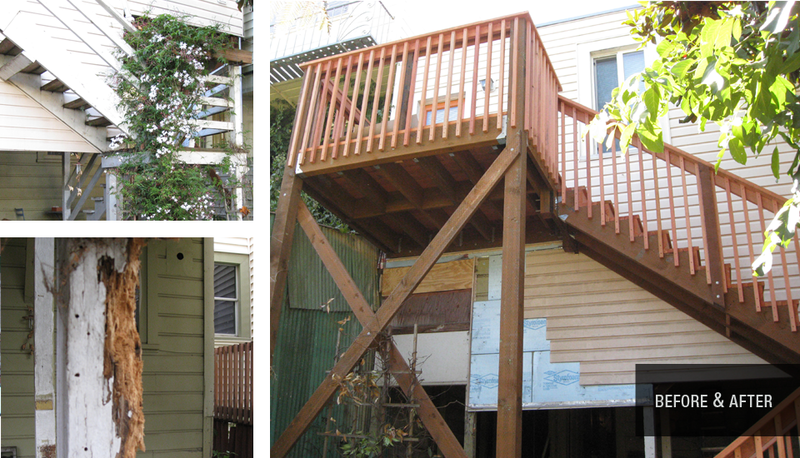 Carefully transporting all building materials into the steep back yard through the home which provided the only access, the redwood deck was rebuilt from the ground up. 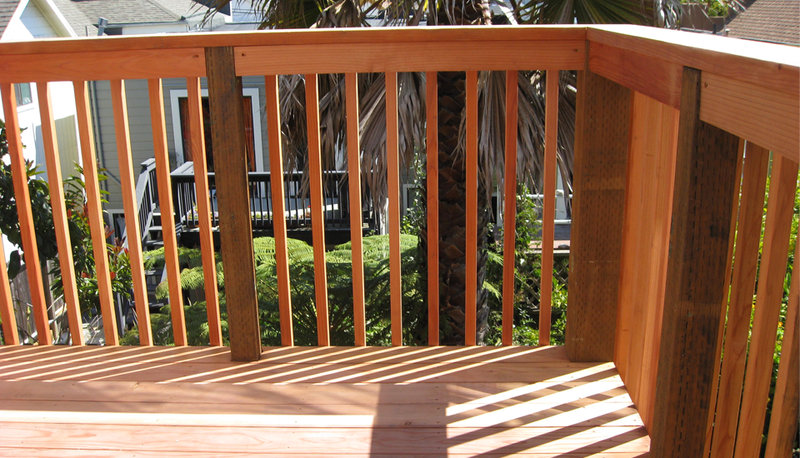 Project included: New foundation, deck framing using brown stain pressure treated lumber, redwood decking stairs and railings.